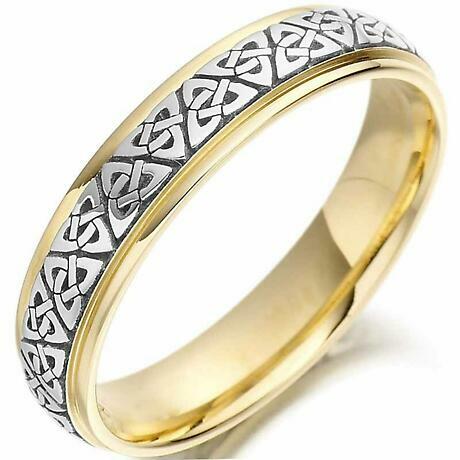 Mens Irish Gold Wedding Ring with Trinity Knot band. 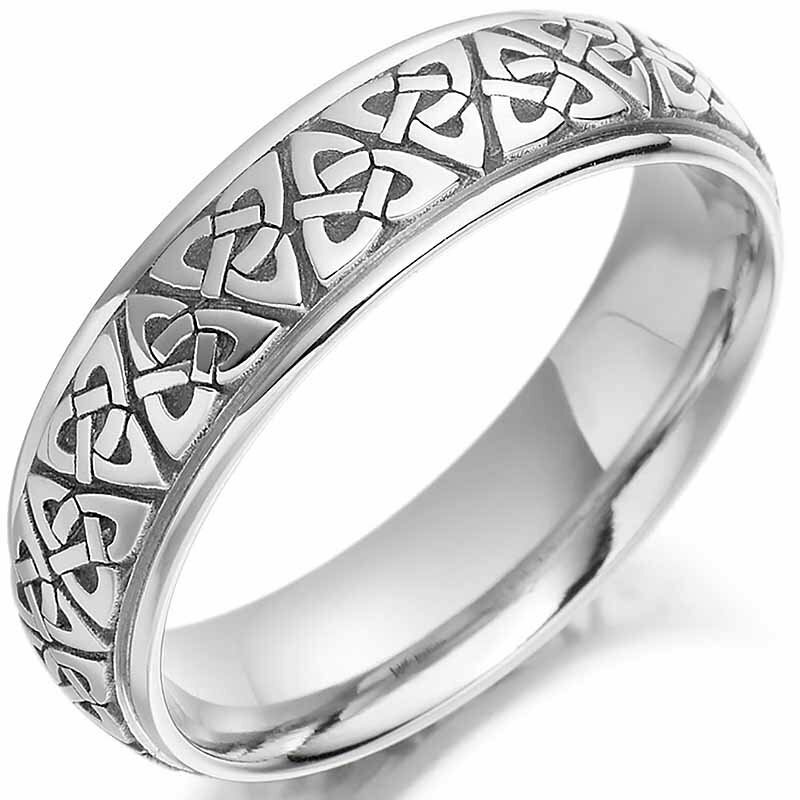 Adorned with this enduring symbol of Irish Love, the Trinity or Celtic Knot has no beginning or no end symbolizing everlasting love. 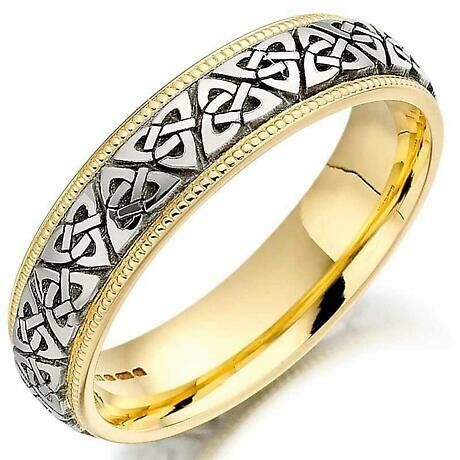 These wedding rings are available in 9k or 14k Gold. Measures approx. 0.3 inch wide.